Beast & Butterflies draws inspiration from both Asian and Western dining, with a range of fusion dishes and innovative cocktails on their menu. The new menu is divided into two sections – Beast, for dishes with hearty and bold flavours, and Butterflies, for lighter options with an emphasis on fresh ingredients. Menu highlights include the Cantonese-influenced Collagen Soup ($18++) and The Scallop Carpaccio starter ($26++). 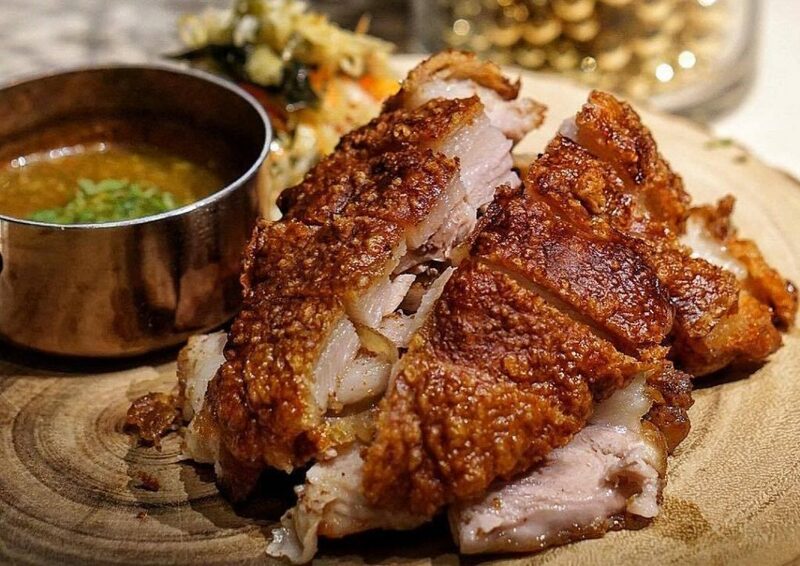 Their signature Crispy Pork Knuckle (available in a half or full portion) is also worth a try. Venue: Marina Bay Sands, 10 Bayfront Avenue, Singapore 018956 | Dates: 9 – 15 April 2018 | Reservations: Call 6688 8501 or email signatureseries@marinabaysands.com. View the event schedule here. Marina Bay Sands celebrates its eighth anniversary this year (wow, has it been that long already? ), with a week-long epicurean adventure like no other. The Signature Series will see culinary legends like Wolfgang Puck and Tetsuya Wakuda, as well as Christina Wilson, winner of Hell’s Kitchen Season 10, making an appearance on our humble shores. 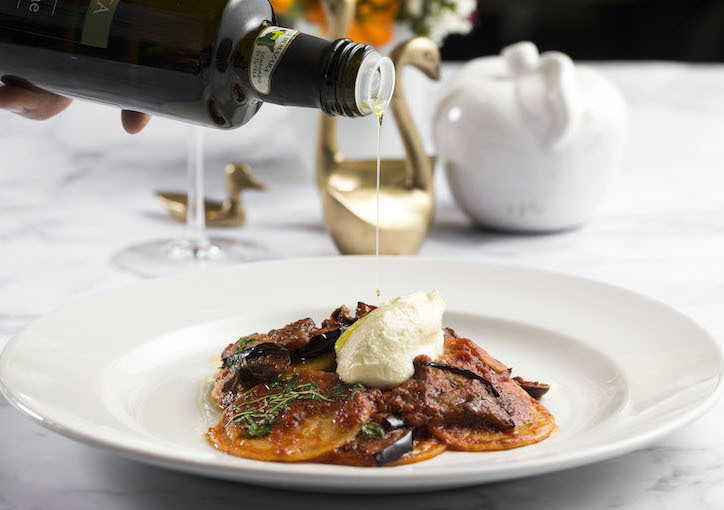 The series of lunches and dinners will take place across 11 celebrity restaurants at Marina Bay Sands this week, where diners can enjoy a specially curated menu and other epicurean activities. For more information, check out the event schedule here. 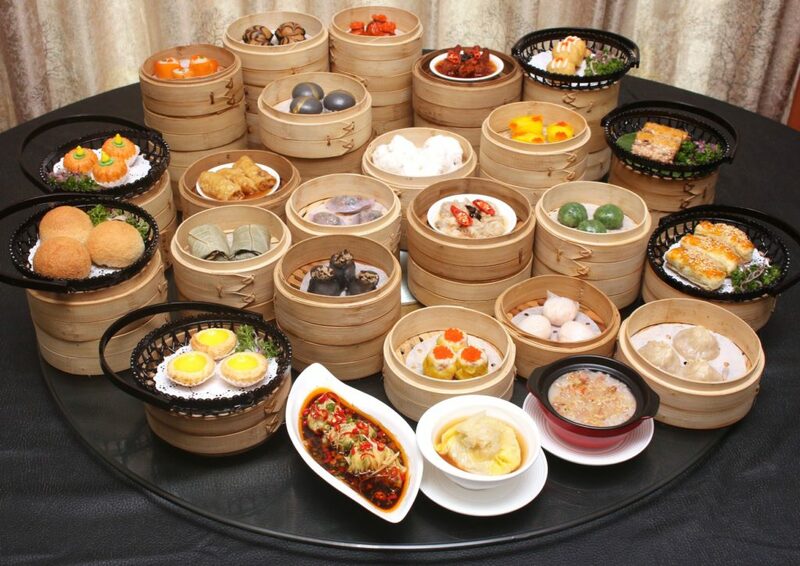 Cantonese restaurant Dragon Bowl has launched their new dim sum menu, which features 40 different types of dishes (the largest range of of à la carte dim sum in Singapore, we’re told). Besides dim sum staples like Char Siew Bao (steamed bun with barbecue pork filling) and Siew Mai (Chinese dumplings), the selection also includes Dragon Bowl’s famous Peking Duck Set in 4 Ways. Oh, and there is a 30% discount on the menu until 30 April, so check it out if you’re craving some dim sum. Location: Goodwood Park Hotel, 22 Scotts Road Singapore 228221 | Contact Number: 6730 1746 | Email: coffee_lounge@goodwoodparkhotel.com | Durian Fiesta 2018 runs from 30 March 2018 to 22 July 2018. Durian lovers will be pleased to know that Goodwood Park Hotel’s annual Durian Fiesta has officially kicked off. The 16-week celebration will feature a diverse menu of durian creations, such as Durian Mousse Cake, Durian Puffs, Durian Strudel and Durian Ice Cream. 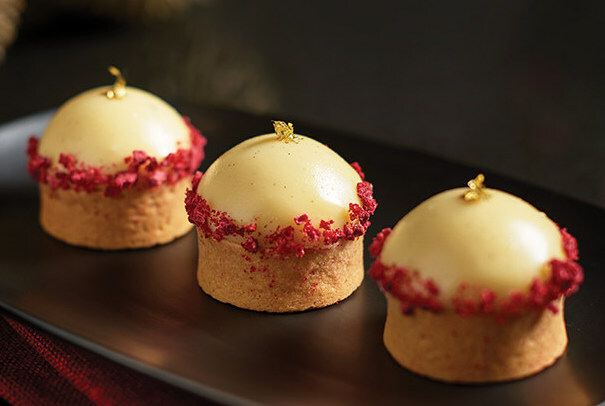 This year’s menu will also include new additions like the D24 White Chocolate Raspberry Dome (a white chocolate dome filled with D24 durian pulp) and D24 Orange Choc-a-Bloc (orange mousse and D24 pulp on a chocolate shortcake base). If you want to try a bit of everything, go for the Durian Buffet (available from 5 May to 22 July 2018), where you can feast on as many durian treats as your heart desires.